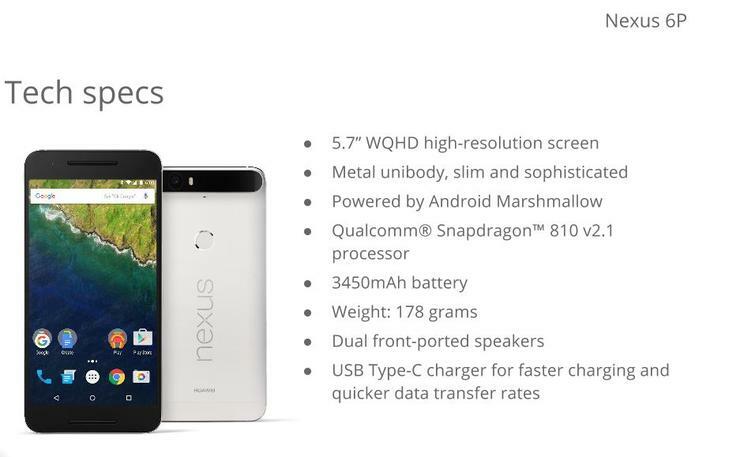 The specifications of yet another eagerly anticipated smartphone have been leaked online, this time for the Google Nexus 6P. The next iteration of Google’s flagship device was rumoured to be announced on 29 September, but this leaked image shows the expected specifications of the device. The Nexus 6P has been gaining a lot of attention in recent weeks, with leaked images giving potential users a glimpse of what to expect from the new device. The Nexus line of devices is renowned for running one of the purest versions of the Android operating system and the Nexus 6P is set to offer users storage options of 32/64/128GB.